As the UK summer draws to a close, and we begin digging out our coats and cardigans in preparation for the chilly days ahead, it’s comforting to know that just a short flight away are sun-soaked beaches. Sure, heading to Turkey for some late sun might be delaying the inevitable, but we call it making the most of summer’s last hurrah. 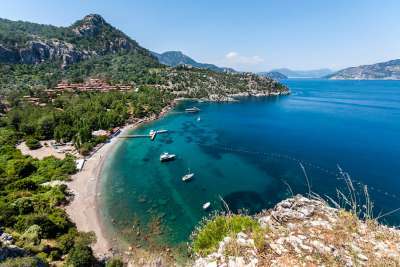 Marmaris isn’t one of Turkey’s most popular beach areas for nothing – with its Mediterranean coastline, spread of resorts for almost every budget, and non-stop parties, it offers everything the average traveller could want from a late sun holiday! Head to Bar Street for more nightclubs, bars and restaurants than you can poke a stick at, or make the most of the sunshine at one of the town’s sandy beaches or waterparks. Turkey is jam-packed with historical artefacts, but few are in as picturesque location as the ruins of Side. 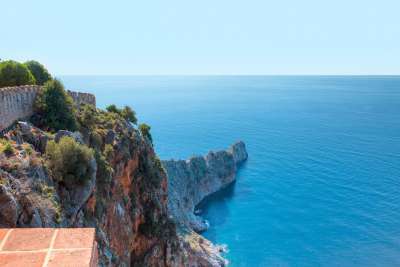 Sitting pretty on a peninsula jutting into the Med, the remains of a temple and a theatre dating back to antiquity have views of the ocean that would make a property developer squeal! There are even more ruins scattered between the souvenir stores and restaurants that dot the lanes of this ancient town. Soak up Side’s laidback charm as you nurse a drink while looking over the gleaming blue of the Mediterranean. 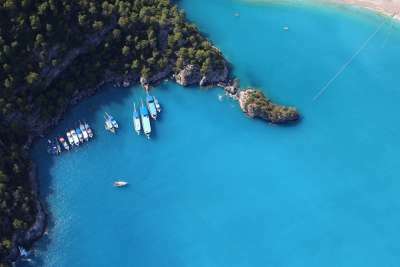 From its famous blue lagoon to the white stretch of its main beach, Olu Deniz offers plenty of opportunities to soak up the last summer sun. Adventure seekers can paraglide from the mountains that loom behind the village, and there’s an assortment of bars and restaurants for those who prefer imbibing in the sunshine to catching its rays. It would be a shame to skip the beach, though – it’s often crowned as one of the world’s best! 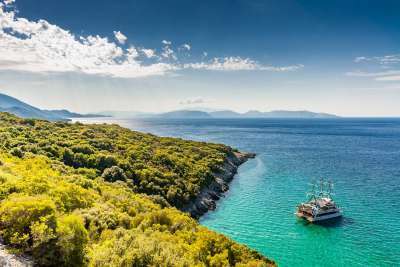 One for the discerning traveller, Bodrum is packed with boutique hotels, cool restaurants and quiet coves. 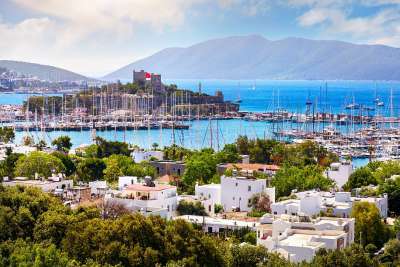 Though it’s popular with tourists, Bodrum rarely seems overcrowded, and often feels more Greek than Turkish – its whitewashed houses, famous windmills and the castle that crowns them all are evidence of its Cretan heritage. Despite its glamorous overtones, the area is still family friendly, with beachfront resorts galore. Diving fans flock to Kas for its top-notch wreck diving, and plethora of watersports. But it’s not all about the adventure sports, no sir. The old town here is picture-perfect, and from the harbour visitors can hop on a charter boat to tour the gleaming waters that spread out beyond the town, all the way to the Greek island of Meis. 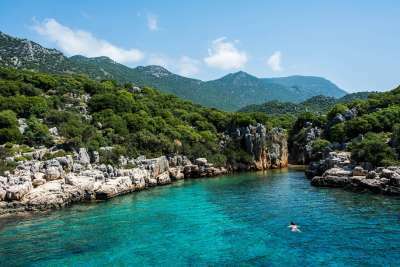 You could also explore the ruins of an ancient theatre, and while Kas doesn’t have any sandy beaches, its pebbly beaches – appropriately named Little Pebble Beach and Big Pebble Beach - are both worthwhile substitutes. 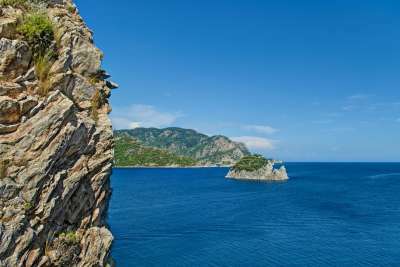 For a holiday that combines Turkish culture with natural beauty, look no further than Antalya. Its streets sprawl with bazaars, Ottoman architecture and restaurants slinging sizzling kebabs, moreish gozleme and more syrup-soaked baklava than you can eat in a lifetime. Closer to shore, boats depart from a Roman-era harbour, and two stretches of beach bookend the city. The cobbled streets that wind between the city’s castle walls are lined with tavernas and restaurants, and Antalya proffers some of the best sunsets in Turkey. Medieval buildings, a waterfront dotted with cosmopolitan bars, and what’s considered some of the best nightlife in Turkey – Alanya is a late sun-seeker’s dream! It’s not all eating and drinking, though, with two blue flag beaches and an ancient fortress nestled in the towering mountains that surround the city. Still not sold? Have we mentioned that just outside of the city is a cave that apparently cures asthma? Between 6am and 10am each day, the cave is only open to asthma sufferers seeking a remedy! Purpose-built for tourists, Icmeler’s stunning curve of a bay boasts sandy shores lined with palm trees and plenty of sunloungers to go around. Backed by pine forests, its town has a charming canal running through it, and its old village will help you feel a million miles away from your desk at work! Stroll down its bar, shop and restaurant-lined promenade – it goes all the way to Marmaris - or partake in one of the number of watersports on offer. We’re talking pedalos, snorkelling, kayaking and even paragliding if you prefer the sky to the sea! A little bit glam, a little bit gauche, and a whole lot of glorious, Kemer is a growing tourist destination – get in while there’s still space to move! Its marina is lined with chic yachts, and it boasts a pebble beach and a sandy beach; take your pick. At night the town comes alive, as tourists and locals make their way to the coffee shops that line its streets, and its bars and nightclubs open their doors for the evening. In the surrounding area is Mount Olympos – catch a cable car to its peak and marvel over the views offered from the top of the world! On Turkey’s western Aegean coast lies Kusadasi, a resort boasting an impressive eight beaches! There are sandy beaches, beaches for some tranquillity, and beaches for watersports. One thing’s for sure: if you’re looking for late sun beach holiday, you won’t be disappointed by Kusadasi! Yet you can also revel in old-school Turkey, with bazaars, cobbled streets and traditional tavernas. Got kids? 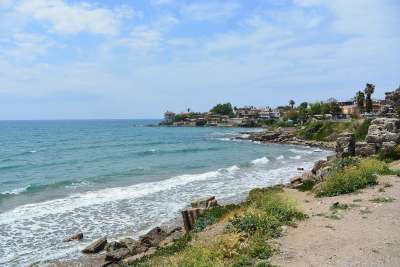 Kusadasi is within easy reach of three waterparks, and its restaurants and bars are mostly family friendly. Embrace the old on Pigeon Island, home to a Byzantine castle, before experiencing the new by boarding one of the modern yachts that dot the scenic marina.